BMW has tried to make its iDrive infotainment system feel more streamlined, and while there’s still plenty of work to do, the latest changes are starting to make a difference. Not every model the automaker makes is running iDrive 7.0 right now, but more are coming, especially this year. 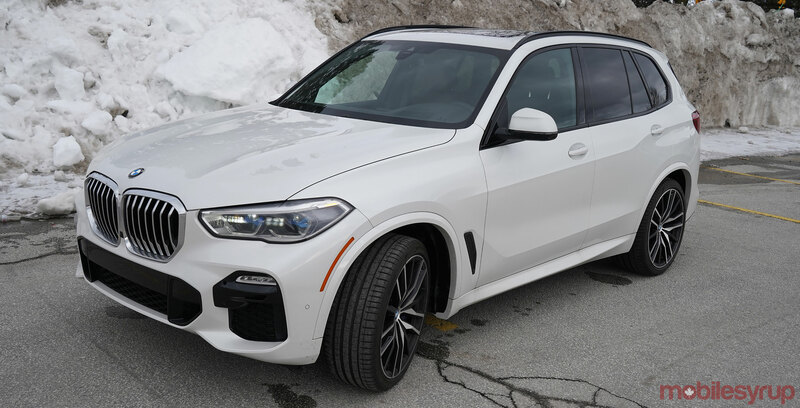 I test drove the system on two separate weeklong drives in the 2019 X5 crossover SUV, along with the deeper app integration it offers. Some things have changed, while others stayed the same. Android users are still left out of the mix, as there’s no support for Android Auto, or even Google Assistant via Bluetooth. If you’re an iPhone user, however, there’s plenty here to work with. The X5 features an elegant interior all around. It’s the sort of cabin you can drive in for long stretches and never feel really uncomfortable. The ergonomics of everything inside is one aspect, but the other is in how the different pieces work together. 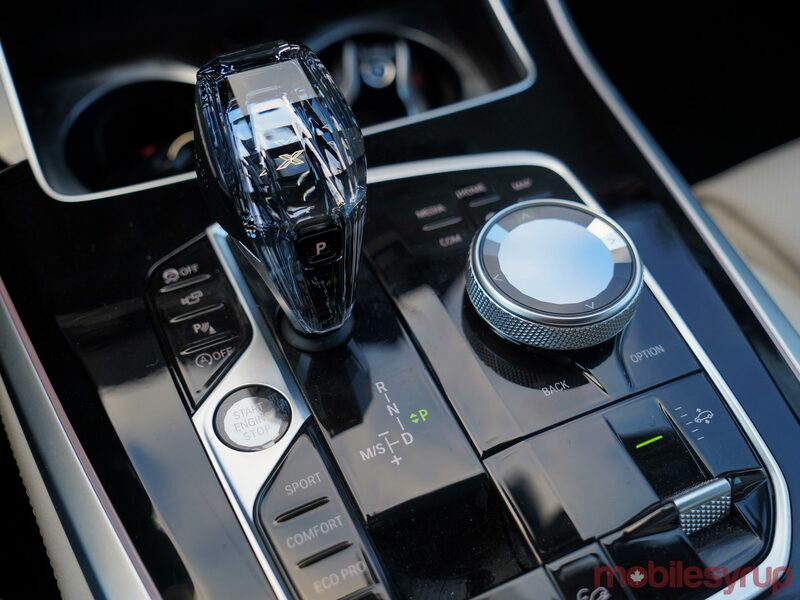 As has been standard to this point, iDrive continues to function through the rotary dial and shortcut buttons surrounding it. The German automaker has flirted with touchscreens before but seems to be all in more often now. The 12.3-inch display is big, vibrant and responsive, should you want to lay a finger or two on it. Much of what’s inside the system is based on a hybrid approach. If not touching the screen, there’s the wheel. If not the wheel, there are buttons or gestures. If not those, then the steering wheel or voice control could help. Punctuating all that is the connectivity involved. The in-car Wi-Fi hotspot and Qi wireless charging pad are included. You get 3GB for the first three months (whichever expires first) and then go prepaid under the service AT&T offers for BMW ConnectedDrive. 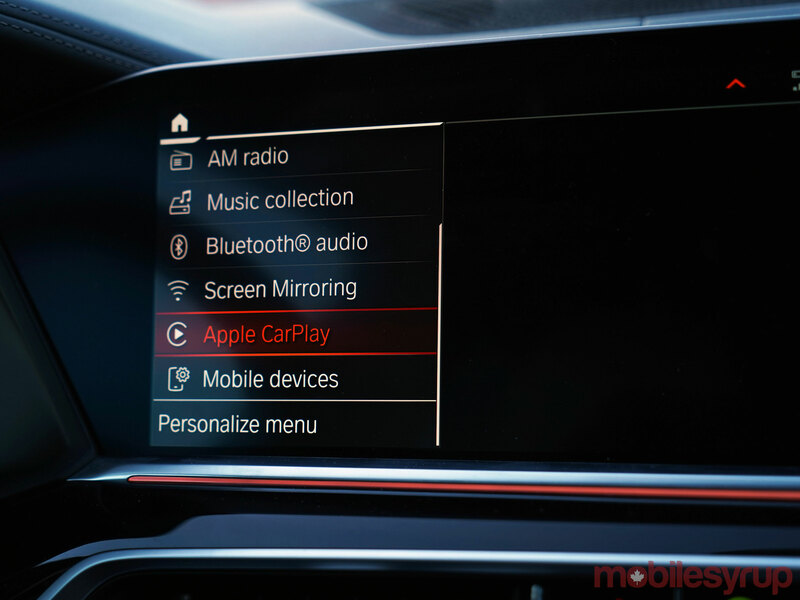 Apple CarPlay is now included with the system from the factory, but you’ll have to pay for it following the first year. The first 12 months come with the car, and after that, you have to subscribe again via BMW’s ConnectedDrive online. The options are for one year or 20 years. BMW ultimately included different elements it had previously introduced in different models. For example, gesture controls were first added to the 7 Series a couple of years ago, only to be held back from other models. The X5 has them, and they work far better now than they did before. When I pointed my finger in mid-air about halfway down the dash (in view of a small infrared camera), and rotated it clockwise or counter-clockwise, I raised and lowered the volume, respectively. If I made a thumbs up sign, tilted it sideways and swiped right, I would skip a track. If I tilted it back and went left, I would repeat one. If I held up two fingers, I could play or pause audio. I was never sold on this when it first launched because it was awkward and gimmicky. Not that it still isn’t, to some degree, but I found myself kind of liking them after a while. The volume controls were sometimes easier than reaching for the volume knob. Skipping tracks was even more convenient, given where the physical track navigation buttons were. All the other connections are pretty standard for BMW, at this point. USB, 12-volt, Aux-In, Bluetooth, Wi-Fi — they’re all there. Adding a USB-C port in the centre console storage compartment modernizes the ports a little, though the USB-A port is more conveniently located at the front. The wireless charger is nestled underneath, deeper into the dash. It’s almost as if BMW did that to dissuade drivers from even reaching for the phone. CarPlay’s integration is basically the same, save for the larger screen that makes every part of it visually stand out more. Icons are big and bright, adding to the convenience of touching the screen. Still, the platform integrates well with the rotary dial, too. It does take time to learn the timing. Unlike the touchscreen’s instant feedback, the dial needs to cycle through the menu. Each click becomes an audible and visual measure of where you’re at. It may not feel intuitive at first, but having used it over a few test drives now, I personally feel acclimated with it. I do like that Siri can at least launch apps by voice, and Apple Music is better with voice integration when compared to Spotify, Tidal or Google Play Music. Here’s hoping that Apple might open up indexing the Spotify library to get to a point where Google Assistant and Alexa are now. Most automakers supporting CarPlay still don’t offer it wirelessly. BMW has done so since first adopting it, and I’ve loved it every time since. Other than charging it, I never really had to take it out of my pocket. Siri works very well in tandem with BMW’s own voice activation system, requiring a long press to trigger it. A short press will always bring up BMW’s. The physical map button on the centre console goes to whichever mapping app was last opened on the iPhone. It’s a subtle way of cutting out Apple Maps — unless, of course, you happen to like using it. If you last used Waze or Google Maps, it will open that up. The catch is that you need to have the app still open. It doesn’t work if you quit it completely. 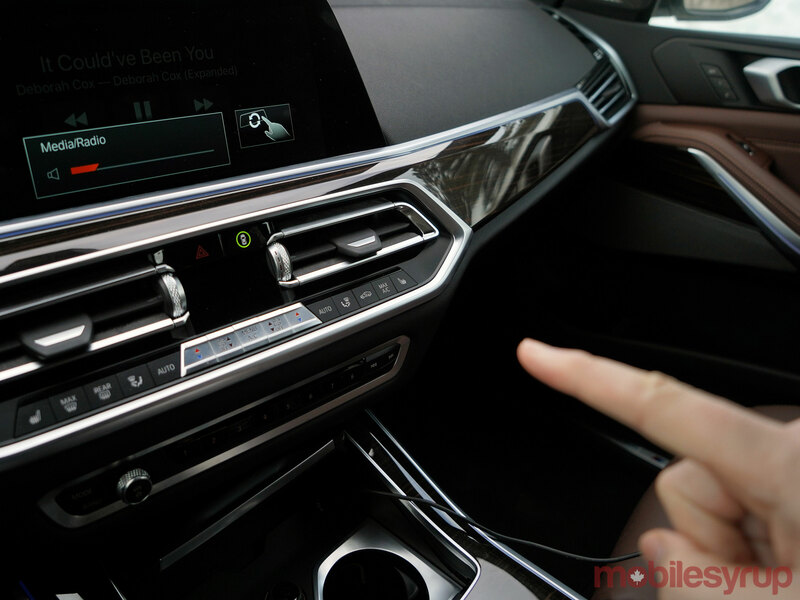 Android Auto has no presence whatsoever in iDrive, and it’s not clear when that will change. The automaker has previously expressed concern for privacy based on how Google collects drivers’ data, so we’ll see how that impasse gets solved if it ever does. One option might be to bake a VPN into the system to cover Android users, but that seems unrealistic on such a large scale. Plus, BMW would probably want to offer that as a subscription service. Android users could also use a VPN of their own on their phones, but that’s beside the point. There’s simply no level of integration that rivals what iPhone users get. The Screen Sharing feature is one of those that is distinctively non-Apple. It works with devices supporting Miracast, which sometimes comes built-in to some phones. 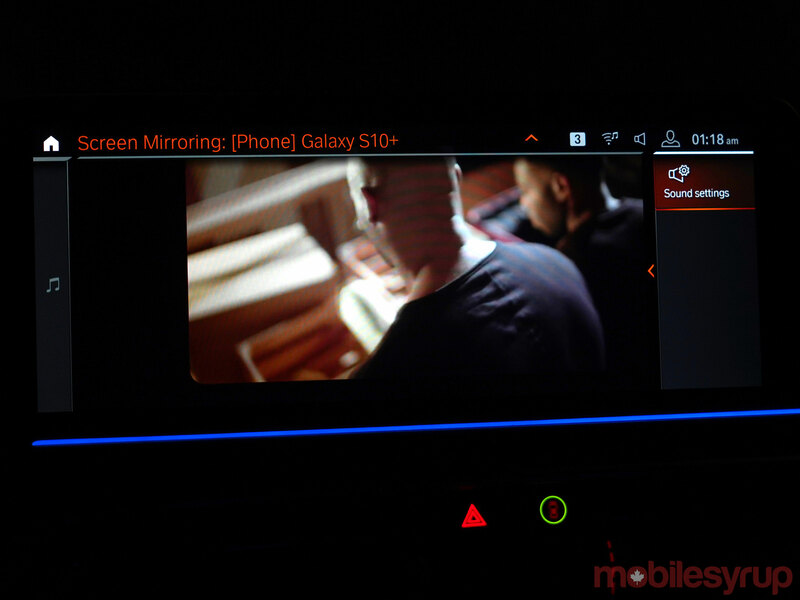 For example, Samsung has long offered Smart View as a way to screenshare with compatible devices, and it works with BMW’s system as well. It’s cool that it’s there, though it’s limiting when you don’t have screens for the back seats. The Galaxy Note 9 and Galaxy S10+ I tested it with worked fine on the display in front. I used the in-car Wi-Fi and played video from Netflix, YouTube, NHL, and DAZN, but could only actually watch when in park. For safety reasons, it won’t play any video while the car is moving. That negates using the larger screen for mapping apps, too. Nothing on the phone’s screen will show when not in park. 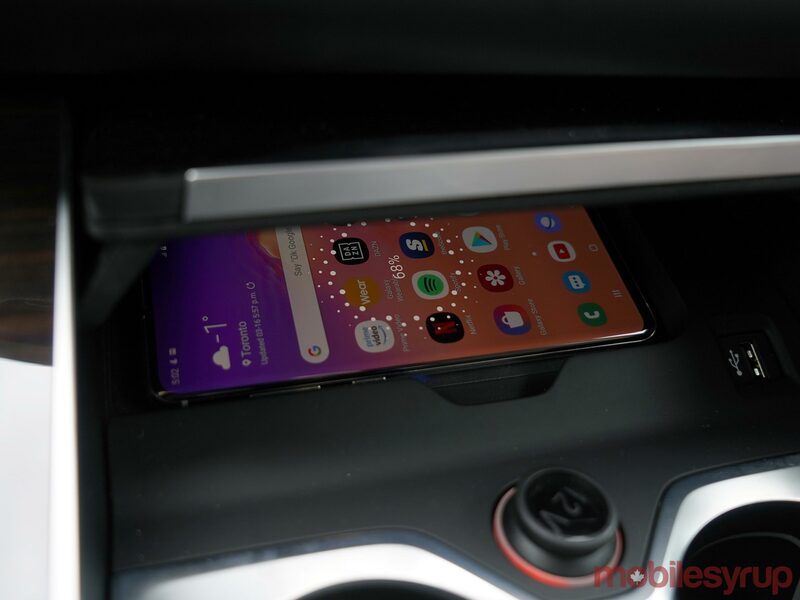 The one alternative would be to use the standalone Android Auto app on the phone and mount it on the dash or vent. 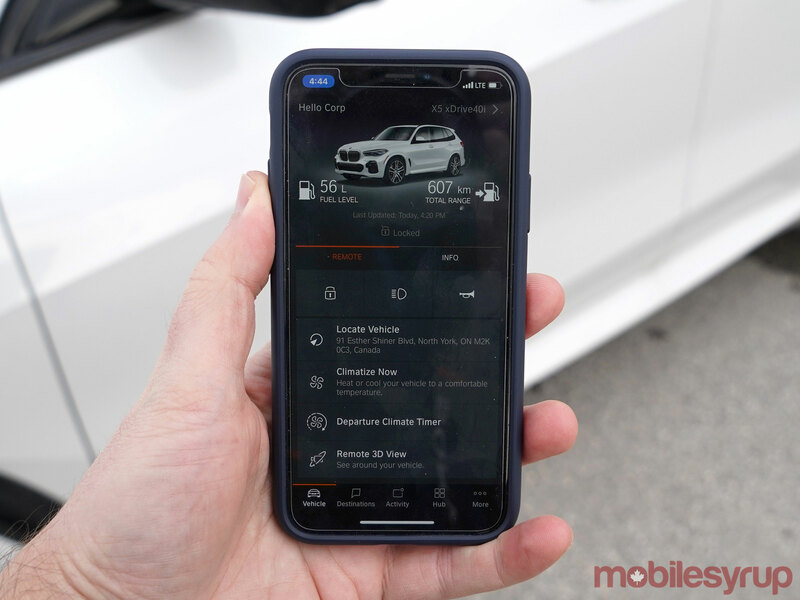 For a long while, Canadian BMW drivers were left out on a lurch with the ConnectedDrive app. It was even worse for Android users. Now, the gap’s finally closing with U.S. counterparts, thanks to a suite of useful features with the current app. For BMW models with in-car SIMs (of which there are many), the app can control or access certain functions remotely. For instance, remote start, lock/unlock, lights and the horn are all accessible. You can set the climate inside for a set time every day — perfect for starting a morning commute before even entering the vehicle. It may not be as instantaneous as a physical fob, but it was pretty neat that I could remote start, unlock, and then drive the car without the fob at all. Send a destination from the phone to the in-car navigation map, and see the car in Remote 3D View, giving you a perspective around it. It’s not integral, but it was yet another feature Canadians were waiting for. The app is pretty deep otherwise, too. It offers the car’s manual, sections for recalls and diagnostics, roadside assistance, dealership appointments, and more. It’s particularly good at helping to navigate the array of menus and sub-menus within the system. For example, since Remote 3D View isn’t enabled at first, the app lists the steps to do so. BMW’s voice activation is useful in the same way. When I said, “Hey BMW, hotspot,” it showed the SSID and password for the in-car Wi-Fi. If I was looking for a specific feature or mode, it wasn’t hard to find it by voice. BMW also added sections to learn about Apple Watch and Samsung SmartThings integration. I don’t have either product right now, so couldn’t fully test how they would work. Unfortunately, there’s no dedicated app for Samsung smartwatches. Hardly surprising, considering Android is still on the ‘classic’ Connected app, which was woefully underserved to begin with. Now, it’s terribly obsolete. The good news is there’s a U.S. version of the current app. Use a VPN to get it and you shouldn’t have a problem connecting it with your car and using it thereafter. The thing about iDrive is that it’s got depth, and yet, BMW doesn’t always do a good job explaining what’s included. It’s like scavenging and sometimes finding an Easter egg when digging through it all. It’s been a slow roll, but what was once a stagnating system is starting to feel lively. Android users still don’t get the same love, and the workarounds aren’t always practical. For iOS users, the times are only getting better, thanks to a proper app and effective CarPlay integration. 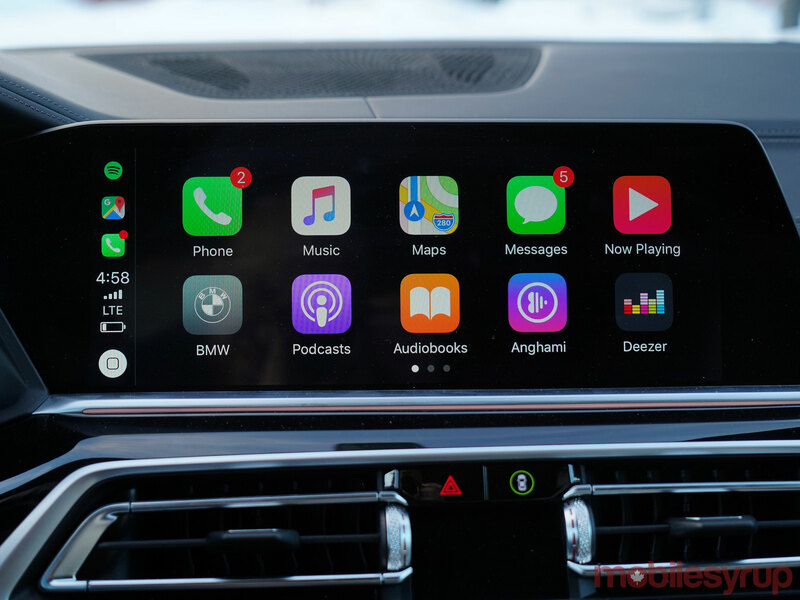 The jury’s still out on CarPlay as a subscription-based service, and sooner or later, in-car data needs bigger buckets to become a game-changer for most drivers. 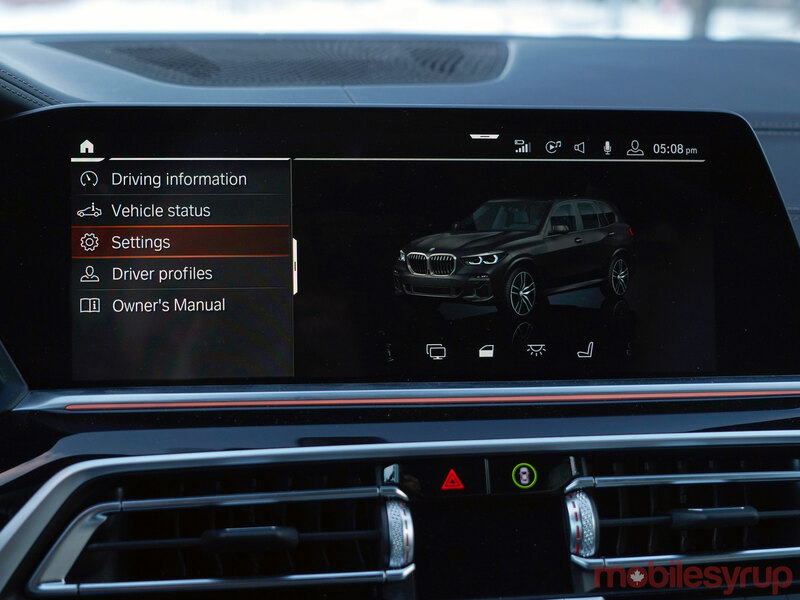 It will be interesting to see what BMW does next with iDrive 8.0. "It’s been a slow roll, but what was once a stagnating system is starting to feel lively"